Many women are following different diets in order to lose weight and get a curvaceous body, because commitment to a healthy diet is the best way for every woman to enjoy a good healthy life. But not every diet has positive effects on your body, and the latest diets differ in terms of their impact on your health. In this context, Canadian scientists from McMaster University revealed that a diet that relies on a small percentage of salt is not beneficial to health and may increase the risk of cardiovascular diseases. Scientists have studied the effects of eating a small amount of salt with the help of 130 thousand people from 49 countries around the world, only to find that getting used to eating foods lacking in salt can cause heart function disorder, heart attack and strokes. The scientists found that reliance on small amount of sodium in persons system has consequences like increasing the number of heart attacks, strokes and deaths compared to a diet with moderate amounts of salt. They also pointed out that it should be in moderation, and not to go over the limit, according to the World Health Organization, eating more than 5 grams of salt a day leads to high blood pressure. I exercise but I’m not losing weight.. Why? A healthy diet and exercise is necessary to lose weight and the key to having the body of your dreams. Despite the fact that sports are the best way to burn calories in the body same women are not losing weight. Eating snacks that are high in calories after sports like chips and French fries. So it is better to replace them with fresh fruits or natural yoghurt. If you workout in la gym make sure you focus on doing exercises, don’t waste your time on drinking water and random chats with others. Although juices are considered health drinks, they do contain a lot of calories and they prevent weight loss. You should drink water instead. Make sure to diversify the sports that you are doing, such as walking, jogging and doing cardio exercises for enough time, and don’t just stick to weight lifting. Here we have for you a group of foods that will help you lose weight when you are dieting, although they are known for containing a lot of fat, experts point out that these foods have useful and effective healthy slimming fats according to “Prevention” website. Add eggs to your diet which relies on carbohydrates, as it will help you lose weight quickly, because a single egg contains only 78 calories and 6 grams of protein and 5 grams of healthy fats. Roasted nuts stimulate the metabolism in your body that convert fat into energy accumulated, plus they contain a lot of fiber and healthy fats. You might be already avoiding all milk intake during your diet because it is creamy, but in fact it helps to lose some of the excess weight, and you can eat dairy products with hemp seed that are rich in «omega 3» they also stimulate the body to convert stored fat into energy. Monounsaturated fatty acids help you lose weight like those in olive sauce, so add them to your meals. Juices are considered to be a healthy meal during diets, especially if you drink them with a certain food items, like a glass of milk or fruits or a handful of vegetables or foods rich in good fats like coconut. For a lot of women getting rid of fat is a constant struggle, and getting to that dream body shape is hard, but what no one knows is that there is a natural juice that speed up metabolism and will help you lose weight. 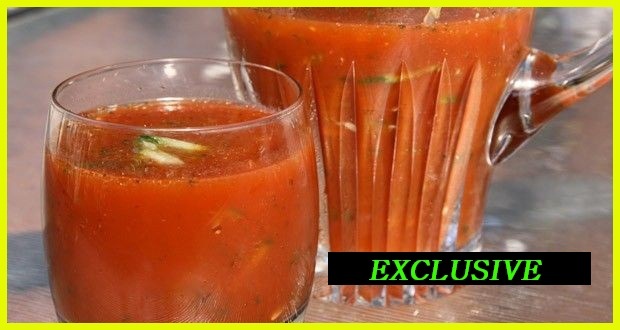 Mix tomato juice, lemon juice, ginger and chilies in a blender, and then present the drink in a glass with celery stick , do not grind it so it remains tender. Scientific studies have shown the effectiveness of ginger for fat digestion and stimulate the digestive process; it also creates the phenomenon of heat generation which helps metabolism. That proves this juice to be very efficient for removing toxins from the body and speeding up your metabolism to burn fat accumulated for months or even years, and along with a balanced diet, you'll notice significant weight loss it is also a natural diuretic and has anti-oxidant that helps to release excess water properties in the body and it helps to maintain a good level of water to lose weight. Every women wishes for that slim, sculpted body and to be in shape, which is considered impossible because of our current lifestyles and all the things we have to do throughout the day, and that will lead to eating fast food, irregular meal times and also a lack of physical activity. Because the physical structure of women is different from men, the fat is accumulated in multiple layers on the abdomen and buttocks level and that leads to obesity in the long term. Some women may resort to getting rid of this problem with physical exercise, but some of them want to easier and faster to solve these problems. So if you are among those who can’t commit to exercising, we advise you to try this natural magic brew that will help you reach the desired results in7 days only of consuming it. Bananas and oranges work on burning fat effectively, especially the one accumulated in the central region of the body, you can also mix them with other good ingredients like flax seed and spinach. In an electric mixer Mix all the ingredients well until the mixture is line, that’s it! Prepare this every morning for at least 7 days in a raw and you’ll see the deference.